Are you a business interested in getting involved with the 2018 Brockville Community Wide Clean-Up or Mayor's Corporate Clean-Up Challenge? We'd love to have your support! 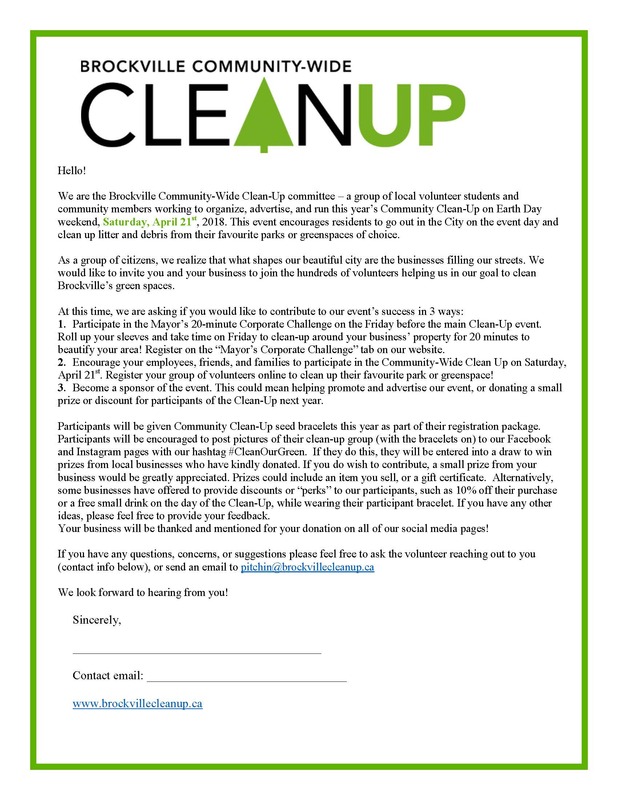 Please see the attached open letter to businesses and contact us at pitchin@brockvillecleanup.ca or through the "About Us" tab on this website.